We were thrilled to present a combined $15,000 to candidates this past month; $7,000 from JCDW South and $8,000 from JCDW North! (You can see our endorsed candidates HERE.) Thank you to all who attend our fundraisers, buy our raffle tickets and buttons, and make donations! Be sure to buy a ticket (HERE) to the Halloween party on Oct 27. Watch for the announcement for the date of our Second Annual Trivia Night, to be held in 2019. See you then! Have you renewed your membership with JCDW? Or, are you ready to join? It’s easy! Just click HERE to join or renew today. For questions about your membership contact Connie Taylor (South) or Joyce Hughes (North). You can go HERE to contact us through our website. Where: Old Shawnee Pizza, 19617 W 101st St, Lenexa, KS 66220 -NEW LOCATION! Ethan became executive director of the Kansas Democratic Party in August 2017. A Kansas native, he is a proud graduate of Garden City Community College, where he played baseball for the Broncbusters and was an Academic All-American. He went on to earn law and bachelor’s degrees from Washington University in St. Louis. In 2012, he served as the deputy voter protection director for President Barack Obama’s campaign in Wisconsin and played a critical role in the KDP’s 2014 election protection effort. Ethan was chief of staff in the International Trade Administration, an agency in the U.S. Department of Commerce, in addition to his efforts as a senior advisor to former Commerce Secretary Penny Pritzker. Prior to his work in government, he practiced law for seven years at one of the country’s top law firms, focusing his pro bono practice on voting rights litigation. 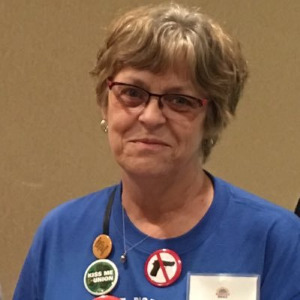 If you want to stay caught up on local politics from a JOCO woman’s perspective, check out the blog, Per Aspera; Reclaiming Kansas Through Difficulty HERE. It’s smart, witty, relevant. The upcoming post will be about how to dissect your November ballot. You’re welcome. It’s THE Halloween party of the year! For more information about the Halloween party and to purchase tickets, go HERE. To volunteer for the Halloween Party, go HERE. Host a meet and greet at your house for a Democratic candidate. Put a candidate yard sign in front of your house and/or business. Share everything you know about politics with everyone you know! Don’t be shy! Get some nonvoters you know to the polls. Vote! Make a voting plan and vote early. To make sure you’re still registered, click HERE to verify your registration and see a sample ballot before you vote! Go HERE to get all the info you need for voting early, by mail and in person. October 16th – Deadline to register to vote in general election. October 16th – Advanced ballots mailed beginning this date. To request an advance ballot, go HERE. October 22nd-November 5th – In person advance voting. Find advanced voting locations and hours HERE. October 30th – Deadline to apply for advance ballot. November 6th – Election Day. Polls are open 7am-7pm. If you’re voting by mail, follow the instructions EXACTLY. If it requests a signature or birth date on the ballot or envelope, you must do that for your vote to be counted. Photograph the signed ballot envelope and the application for your records. Make sure your ballot will arrive at the specified location by the deadline (by 7pm November 6th if hand delivering or postmarked by election day if mailing). Anyone can request a paper ballot when voting in person! Vote down the ballot. Don’t stop at the candidates you know at the top of the ballot. MAKE SURE you go to the bottom of the ballot before you submit your vote. The local races often affect our day-to-day lives more than the national races. To find your Kansas state representative and senator, along with the House and Senate district in which you live, go HERE.